I come from Estonia and I started debating competitively in high-school in 1994. My first format was IDEA Karl Popper Debate. In 1996 I was Best Speaker in KPD (World) Championship. In 1998 we founded Estonian Debating Society, the national umbrella organisation for all competitive debate and debate education on all levels of education. I have later served as CEO, and Chairman of Supervisory Board of EDS. Also, since 1998 I have conducted trainings of persuasion, discussion and decisionmaking based on argumentation for private sector executives, communication professionals, radio show hosts, teachers and professors, public sector officials, non-profit activists, start-up and social entrepreneurs, among others. I’ve also moderated public debates, public participation events, grass-roots social discussion forums and election debates for many local, national and presidential elections in Estonia in television, in written media, online and offline. I have been a debate and rhetorics teacher in several high-schools for over 10 years and a trainer of teachers in Tallinn University. Currently I am chief trainer, consultant and development manager at SpeakSmart, a social training company I also helped set up. Debating and argumentation is my greatest passion, although civic (e-)activisim, social entrepreneurship and snowboarding also rank highly. In addition to the job at SpeakSmart, I’m at present also a CEO of a startup e-democracy platform CitizenOS.com. In the past, I’ve worked as a digital copyright lawyer and a manager of a social investment portfolio. Under the radar, I’ve continued to debate competitively, whenever I can find the time, though mostly on the national level. A few years ago I made it into the semis in Estonian BP Championships. On a personal note, I’m a happy father of 2-year old Sienna and 4-year old Mathias. A teacher of rhetorics and debate in Tallinn 21. School, Estonian Business Grammar School, Old Town Educational College, Rocca al Mare School (2003-2013) and Tallinn University. 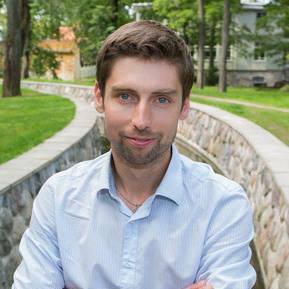 Chief Trainer and Consultant at SpeakSmart, the market leading argumentation skills training company in Estonia. IDEA trainer, Estonian national team coach or judge at IDEA Global Youth Forums 1999, 2003, 2005, 2006, 2011. Head of Training of Trainers Program at IDEA Asia Youth Forums 2012 Thailand and 2013 Kyrgystan. Head Trainer for IDEA South-East Asia training series 2011-2012 in Thailand, Laos, Cambodia, Vietnam, Myanmar. My client portfolio for training is here and for moderating here. Based on the real, speak with joy.